Cuochi d’Italia has started again in its fifth edition! The TV program broadcast on the Italian channel TV8 sees also this season the conduction by chef Alessandro Borghese who has been on the small screen for a long time with several culinary formats. 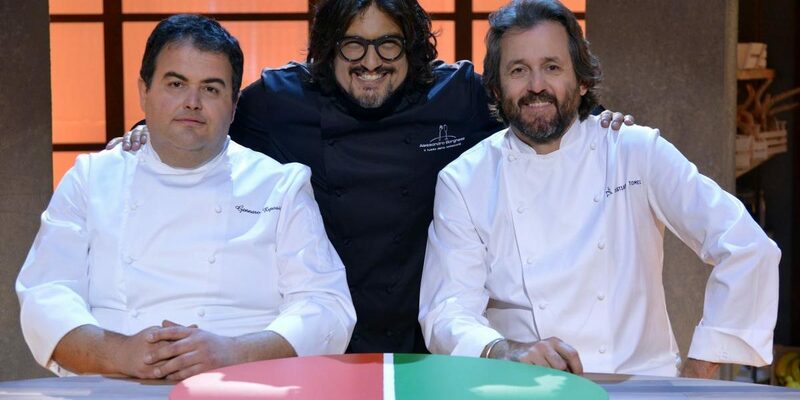 In each episode, two professional chefs, representing different Italian regions, compete in a double run offering typical dishes of their territory and reinterpreting those of the challenging region. Judging by a vote from 1 to 10 there are two starred chefs, Gennaro Esposito, expert in local cuisine and Cristiano Tomei who combines the genuine flavors of local products inspired by the techniques of international gastronomy by years. A mix of experience and creativity allows competitors to reinterpret traditional recipes by combining particular ingredients. With a format that is so close to the gastronomic traditions the Italian country is so rich, it is very easy to thrill the public: the combination of regional recipes and international influences is the right key for a television program that aims to rediscover the riches of Italian restaurants and to enhance the uniqueness of their products. Also this year the winner who will arrive in the final will win the title of “Best Regional Chef of Italy”, so let’s have a big good luck to all the competitors of this edition!